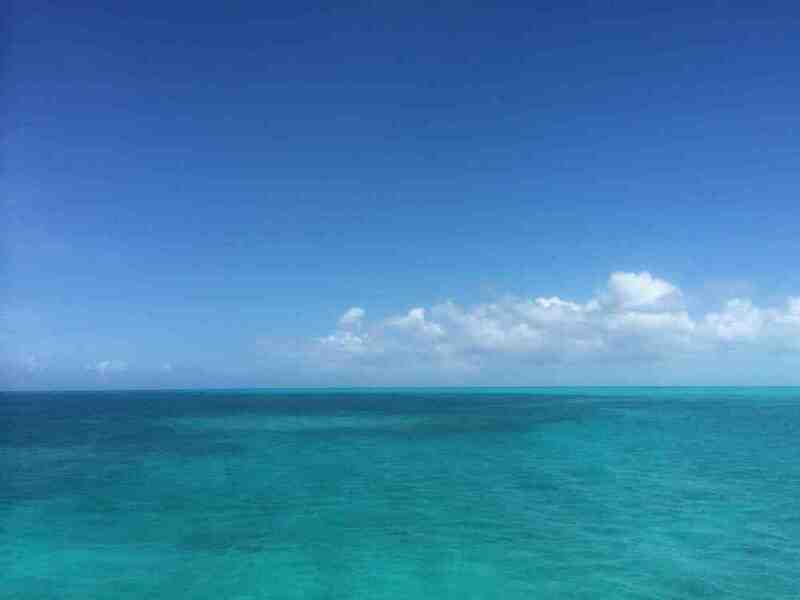 Editor's Note: last Wednesday we crossed north from the southernmost island in the Bahamas--Greant Inagua. Here are my notes. Made the cross from Great Inagua to Long Island last night. About 130 miles. Left around noon. Expected to arrive around 2pm today. We arrived at 6am. We were flying right out of the gates. We hit 8 knots in the lee of Inagua. Saw the Morton salt piles as we came around the north side. Second largest salt manufacturing in the world. We crossed through the Mira Por Vos Passage around 11pm. Our top speed for the night was 10.4 knots from what I saw. Averaged around 7.5-8. I pulled a double shift so I would be on watch when going through the MPV Passage. Another one where the guidebook tells horror stories. The winds picked up a little, into the lower 20’s, but other than that, it was the same as the rest of the night. We hoped we’d get some relief from the swells once behind Acklins/Crooked Islands, but no dice. We soldiered on through the Crooked Island Passage. We didn’t want to arrive before sunrise, so we tried to lower the main sail to slow ourselves down. That’s when we realized the topping lift had snapped at some point in the night. Bummer. We brought in the jib instead. We spotted our planned anchorage around 6:30am. The sun was up by then. Pulling into the anchorage, Alison and I centered the boom overtop the bimini and then dropped the main sail fast. We found some good sand at good depth and dropped anchor. We then promptly went below and crashed for a few hours. It’s almost noon now. Everyone is up and most people have eaten. The anchorage is a little rolly, so we’ll probably head up the coast about 10 miles or so in hopes of something flatter. But we’re in one piece and we’re out of the nether regions of the Bahamas. Civilization here we come. In the meantime, the water is gorgeous, white sandy beach and all that. We love libraries, and not just for their couches. Found the trampoline. And no, we're not in that houses back yard. We're actually next to a BBQ shack that provides a 'play area'. The diesel fuel at Inagua Harbour. It's a 'gravity' system, meaning the boat has to be lower than the 'pump' for it to work. Our anchorage off southern Long Island.